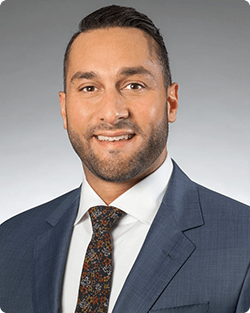 Dr. Mohamed S. Naem joined North Shore Gastroenterology in 2016. Born in Detroit, Michigan, he earned his medical degree from Wayne State University School of Medicine, completed his residency at UH Hospitals Case Medical Center in Cleveland, Ohio, and obtained his fellowship training in gastroenterology, hepatology, and nutrition at The Ohio State University Wexner Medical Center. Among Dr. Naem’s areas of special interest are inflammatory bowel disease (IBD), general gastroenterology, celiac disease, colon cancer screening and detection, and the management of chronic liver disease. Board certified in internal medicine and gastroenterology by the American Board of Internal Medicine, Dr. Naem has participated in numerous research projects and case presentations and is a member of theAmerican College of Gastroenterology, American Society of Gastrointestinal Endoscopy, American Gastroenterology Association and National Arab American Medical Association. Dr. Naem is fluent in English and all contemporary Arabic dialects. His personal hobbies include oriental rugs, running, weight lifting, skiing, and travel.